The CAFE Foundation will hold its sixth Electric Aircraft Symposium on April 27 and 28, 2012 at the Flamingo Resort in Santa Rosa, California and at the Charles M. Schulz Sonoma County Airport, site of the Green Flight Challenge. Not only will there be a stellar lineup of speakers, but flying demonstrations of electric and hybrid aircraft, a first at any EAS. Jack Langelaan, team leader for the GFC-winning Electro Taurus G4 team, and Tine Tomazic from Pipistrel will share insights on the design and flight of the 403.5 epmpg aircraft. David Calley, Chief Technical Officer for Motor Excellence, will describe ideal low-RPM motors for electric aircraft, and Mark Moore from NASA’s Langley Research Center will share breakthroughs in distributed propulsion. And that’s all before the first coffee break! Typical of the packed schedules for all EAS’s, the rest of the presentations will fill your brain and lighten your spirit. Gene Sheehan will discuss his Quickie-like Feuling Green Flight Challenger – an airplane that didn’t make it to the GFC flightline, but which shows what a fun airplane should be. Stephan Boutenko will be on hand to discuss his Light Sport Aircraft compliant Alternair Amp, which could become a green alternative to the two-seaters available today. Tom Gunnarson will illuminate the FAA’s Small Airplane Directorate and how it will affect future flight. A crowd favorite from EAS IV, Eva Hakkanson will be back with her husband Bill Dube. This team campaigns Killacycle, the world’s fastest electric motorcycle. In the continuing need for speed, Paul Schlein, retired Chief Scientist for the F-22 Raptor program, will discuss world speed record electric aircraft. 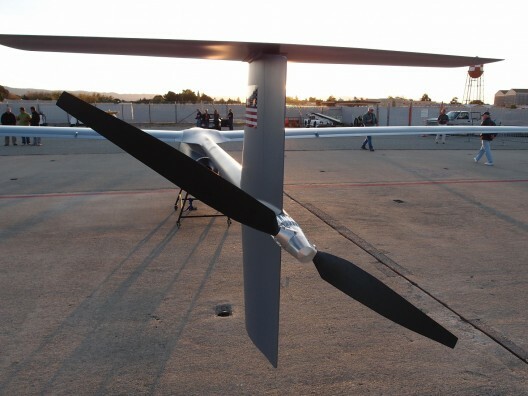 After-lunch panels will talk about STOL and powered lift systems, ultra-quiet propellers for electric aircraft, and Brien Seeley will recount the Green Flight Challenge and give a glimpse of competitions to come. Alan Soule, CAFE board member, will recount his real-world experience in owning and driving a Tesla Roadster. Something almost unreal will be on hand with the “lit” two-seat electric, gyro-stabilized motorcycle. Mike Ricci, the CTO for Launchpoint Technologies, will show their latest in pancake wheel motors, and Patrick McLaughlin, founder of Mountain High Oxygen, will show a motor controller with instant throttle response. Bill Parks, Senior Manager at Aerovironment, will do keynote honors with his address on UAVs and the Global Observer. Evening theme dinner sessions, as in past years, will focus on motors, aeronautics, and energy. These dinners are always highly informative and often pack surprises. Saturday’s session will kick off with a round of energy storage presentations, with a keynote address by Cary Haymer of Northwestern University on engineered graphene electrodes, a talk on high-energy density battery chemistries by Bruce Katz from Polyplus, and a keynote address on lithium-air secondary batteries by Dr. Winfried Wilcke, Chairman of the IBM Research Laboratory. This will be followed by a discussion on safe charging and management of battery systems. Apropos, Carlo Treves of HighFlex Solar will display his firm’s flexible solar cells, showing how electric aircraft can be charged all day. Your blog editor will talk on various ways of finding “free” energy in the water and earth that surround us. Greg Stevenson of GSE Engineering will discuss his bio-diesel generator set, a lightweight way to extract great mileage from very little fuel. The morning session will close out with experimental test pilot Norm Howell of Boeing and Embry Riddle Aeronautical University talking about benchmark software for predicting aircraft performance. Attendees will seek out lunch on their way to the CAFE Flight Test Center at the western edge of the Sonoma County Airport. There, they will see the first electric charging station for aircraft on any U. S. airport, and scheduled flight demonstrations by the GFC Team Feuling’s eQuickie, Team IKE Aerospace’s Seraph, Team GSE’s hybrid pusher (including Goldschmied propulsor) and others. The opportunity to see this exciting technology finally coming to fruition is certain to fill the venues quickly, so make reservations now.